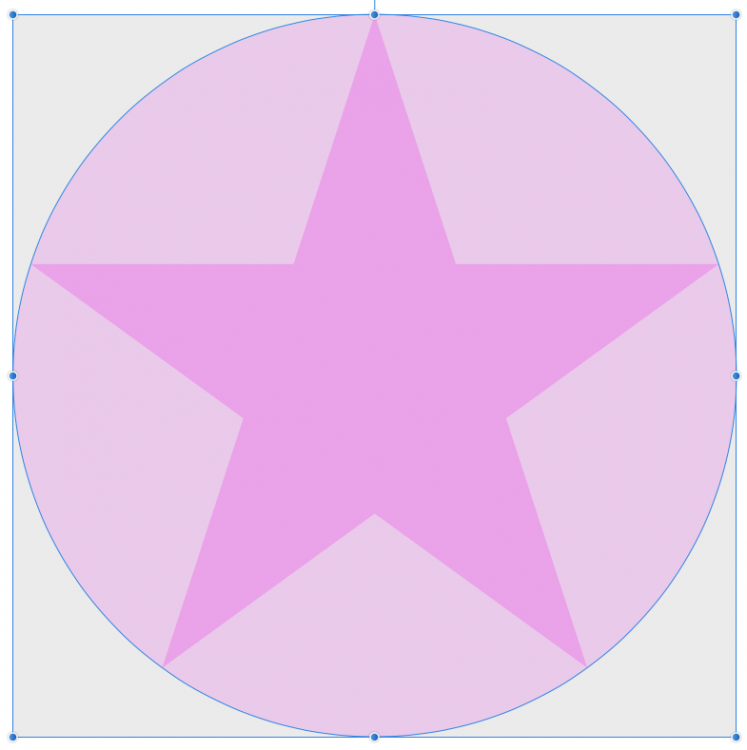 When drawing a star and snap to a squared document for some reason the star is having some padding and therefor not snapping to the document bounds. I don't see any reason why the star would not stretch up to the document bounds. I don't get it. Am I missing something here? .A regular star always has a square base box, but if it has five points it won’t have a square bounding box. In order to see how this works, try changing the number of points to four or six. 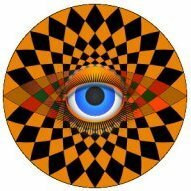 Check this out.A circle in a square, now draw the 5 pointed star. cool eh, now increase the points. 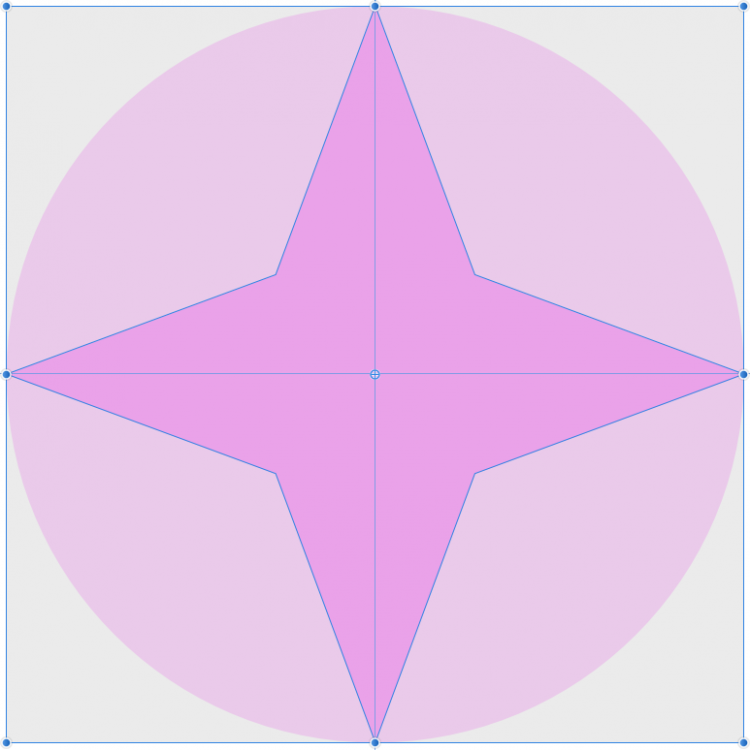 A regular star always has a square base box, but if it has five points it won’t have a square bounding box. In order to see how this works, try changing the number of points to four or six. Great minds think alike lol! 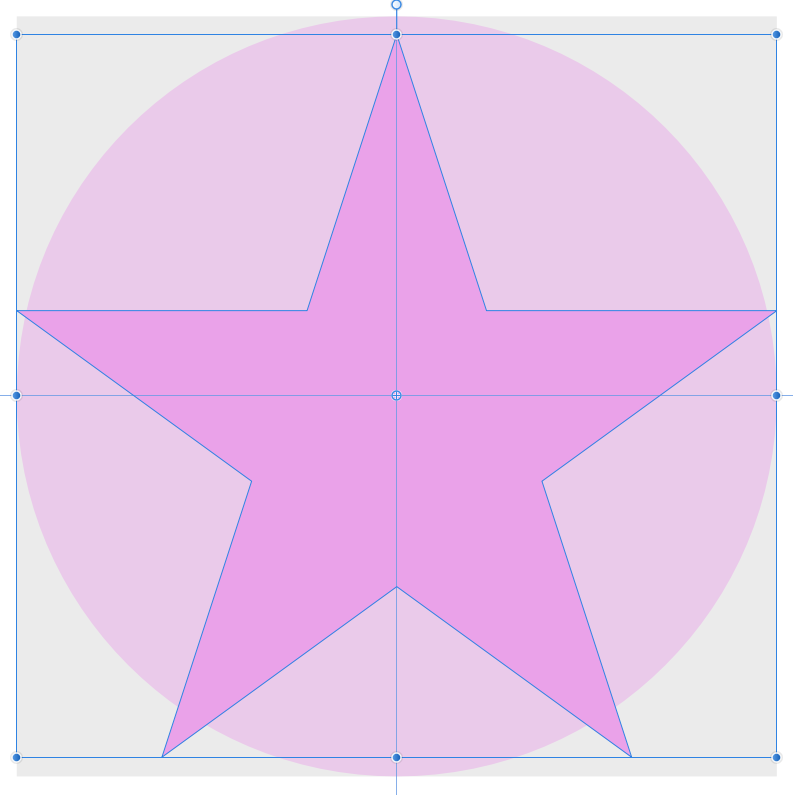 It doesn't matter if the star is square or not, it stretches while drawing, so it should stretch to the document bounds. Look at the padding on the left, even if the star-shape wouldn't stretch it shouldn't be there. And the whole point of a boundingbox is that it always tightly fits the shape. That's why it's called a 'bounding'-box. It shouldn't matter how much points there are. If we switch to 5 points it shouldn't make the star smaller, but the boundingbox fit the star to let its boundingbox fit the document bounds on stretch and with that fit the star to the document bounds. It doesn't matter if the star is square or not, it stretches while drawing, so it should stretch to the document bounds. Look at the padding on the left, even if the start wouldn't stretch it shouldn't be there. Yes, I understand what you are explaining and I understand now that it's build like this. Thanks for your responses. 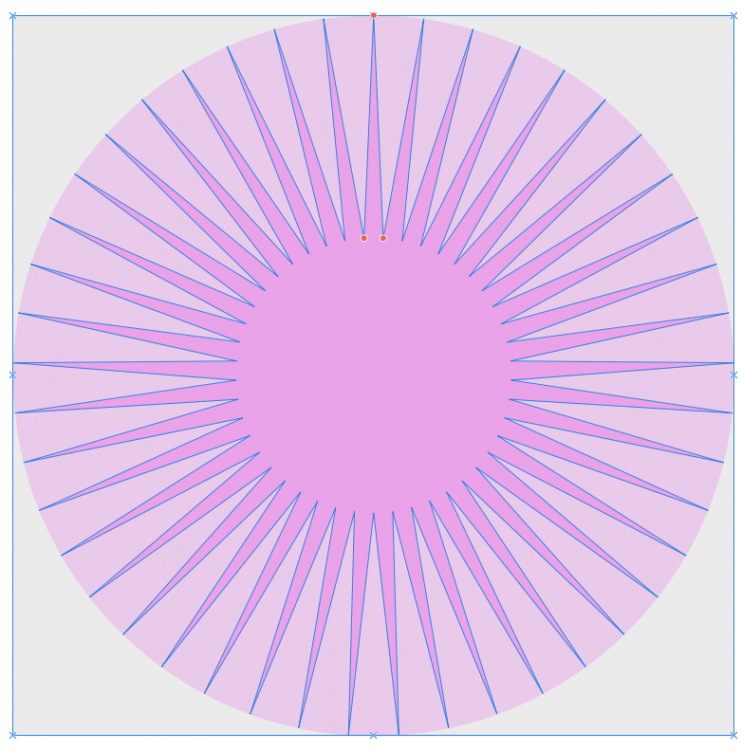 I understand the technical background on how to draw the shape with its center point in the middle and all, but I don't agree with this to be the right and an intuitive interface for a vector drawing tool, because it's not only unintuitive, it's working differently than the rest of the interface. And I highly doubt other graphical software works like this. A boundingbox should ALWAYS fit a shape and drawing a shape that is able to stretch should ALWAYS hit the bounds of the container. Designers should never have to worry about technical stuff, how it's build and all. @Mithferion I understand, and after converting to curves we can stretch the hell out of the shape and fitting it to the bounds with no problem at all. So why such a strange interface at first? Well create a 800 x 800 px doc, place a 5 point star on that, select the star (see it's bounding box) and enter into the transform panel x = 0 px, y = 0 px, w = 800 px, h = 800 px, what do you see for the star and it's bounding box? "Catch a falling star, put it in your pocket ..." (Prince Kajuku). As @Ben explained in the other thread, the container that we see by default for parametric shapes is the base box. The bounding box (viewable by pressing the period key on your keyboard) always does fit the shape. Exactly the same as drawing the star from top-left to bottom-right. Could be, but it's not stretching the shape with the boundingbox to the bounds of the document, but it should. I don't really care what the explanation is of base box and bounding box. It should work intuitively as how we would expect the interface to work in my opinion. I am a developer too, so I understand some things in the background could work differently, but that's not my business if I am a user and use the software as a designer, than it should work the best it can and consistant to other tools. 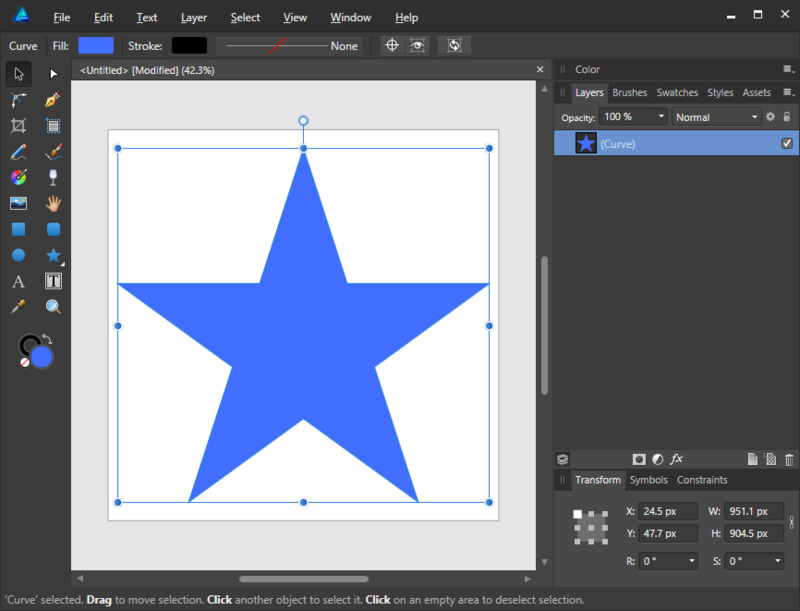 The problem here is that other vector-tools draw shapes from the center, so you place a cursor on the 'canvas' and than make the star bigger by moving your mouse while holding the mousebutton. And that's the way the logic behind stars is. But Affinity tried to make that interface easier, which I really like, by drawing the shape topleft first and than let us stretch the shape to set the size. If you want to draw from the centre, you can use the appropriate modifier key (Ctrl on Windows or Cmd on a Mac). I don’t understand why you say it isn’t centre-aligned. Did you look at the first image in @firstdefence‘s post? I would have said Perry Como, but each to his own! Just remembered U.F.O. for falling stars! Yes, and I responded to it. You can see clearly on that image that the star is not hitting the bottom bounds, nor the left and right bounds. But guess we are talking in circles now. I know you are an intelligent guy so don't get me wrong and of coarse no offense at all. I guess I didn't explain myself well or we just dissagree on how an intuitive graphical interface should work for designers on this point. I was hoping there was something I was missing, but guess it's a choice Serif made. It seems like the choice made is made on logic in the background instead of intuiteve logic in a designer-perspective. I would have made a different choice, cause I think is a serious design flaw... and according to the other thread I'm obviously not the only one. Great to know drawing stars from the center is possible, thanks for the tip. But unfortunately drawing stars from the center doesn't solve this, because it's still impossible to snap the stars to the document bounds without converting it to curves first. Again, this is not me trying to troll, I think it's really a serious design flaw. That said, thanks for trying to help. At least now I know. @Friksel You don't have to convert to curves. Just hit the period key to toggle back and forth to the "bounding box" of your choosing. So we pick a star, define exactly where we want the star to be on the document and use document-bounds-snapping, but the star doesn't stretch to the bounds... than we leave the mousebutton, have to switch to a bounding box with a period and have to resize the star again, but now it can snap to the bounds.... I don't think that makes sense at all and isn't really efficient or intuitive to me. But to not only complain and think in solutions instead; It would be great if it would be either work exactly with the bounding box, or we could have a button like ALT or whatever to do the bounding-box-switching immediatly. That would fit everybody's needs I'd say (if somebody really wants the behaviour like it is build now). Well, thanks again everybody for your buys help! I'll use the period-method for now!